Transgender and gender non-conforming people are much more likely to be experiencing poverty or homeless than the average person, almost twice as many as the general population. Discrimination or harassment from service providers, or rejection from their families and gender segregated shelters can all lead to ending up on the street. This can also impact other basics people might take for granted, like accessing proper health care or an education. The best way to ensure the safety, proper health, and emotional wellbeing of young LGTBQ2S+ people is by providing housing that respects young people’s identity and life choices. But it’s more than housing and employment. It’s an anti-suicide measure for our young people. It’s about building a community of care for our young people. 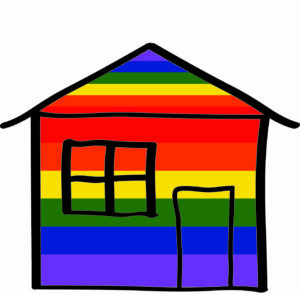 The two year pilot project will provide housing with supports and employment to LGBTQ2S+ youth between 18 and 25 in a residential setting and will utilize a LGBTQ2S+ advisory group to develop best practices with youth. We will connect youth with older members of the LGBTQ2S+ community, the goal being to provide safe, lifelong ‘chosen family’ or mentorship with mutual benefit for all parties. The project will be evaluated externally by the McCready Centre Society, who have extensive experience with youth homelessness, specifically LGBTQ2S+ homeless youth. This project will be the first in Canada and we want to make sure it’s not the last! RainCity Housing and Support Society has been a leading housing provider since 1982, offering housing, support and outreach to a diverse group of people. While providing these services to specific demographics, such as housing for women and folks with multiple diagnoses, we honour the unique challenges they face due to systemic oppression. We focus on people’s strengths, believe strongly in community involvement, and learn from our experiences, pursuing an anti-oppressive framework that respects the communities we have the pleasure of working with everyday. Our hiring ethic has aided us in developing a unique competency in servicing the LGBTQ2S+ community, increased our knowledge of LGBTQ2S+ barriers, history and queer theory, and led to increased representation within our staff group. We already have a commitment of half the funds needed thanks to a very generous grant from The Vancouver Foundation. We are seeking matching funds in order to make this project a reality and we’re asking people like you for your help. Your financial support will ensure that LGBTQ2S+ youth can live in a safe, supported environment – the first in Vancouver, the first in Canada!